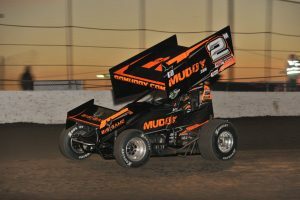 Madsen,Madsen and McFadden tackle Outlaws in Las Vegas | Talking Speedway, Speedway news from around the world! 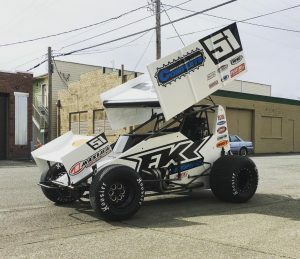 Australian Sprintcar Champion Kerry Madsen returns to the heat of the World of Outlaw action this weekend at Las Vegas Speedway Dirt Track after missing the Texas round at Lone Star Speedway .With a win in the Go Muddy/Big Game car already in his pocket Madsen should be primed for another big result. With season only weeks old and with a limited World of Outlaw events on his schedule the Australian Champion will be out to remind the regulars his appetite for Outlaws wins is still as strong as ever. Madsen will be joined in Las Vegas by Brother Ian and the KCP Team together with the recently arrived James McFadden in the Factory Kahne/Sean Dyson #51.All three Australians have had success down under in 2016/17 beating many of the tough Americans along the way. An all Australian podium at Las Vegas is not out of the question.